SilverStar's colourful Gold Rush-themed village. Bulldog Hotel is a cosy 25-room property, steps from the lifts, with plenty of patio space, a large communal hot tub and ample equipment storage. 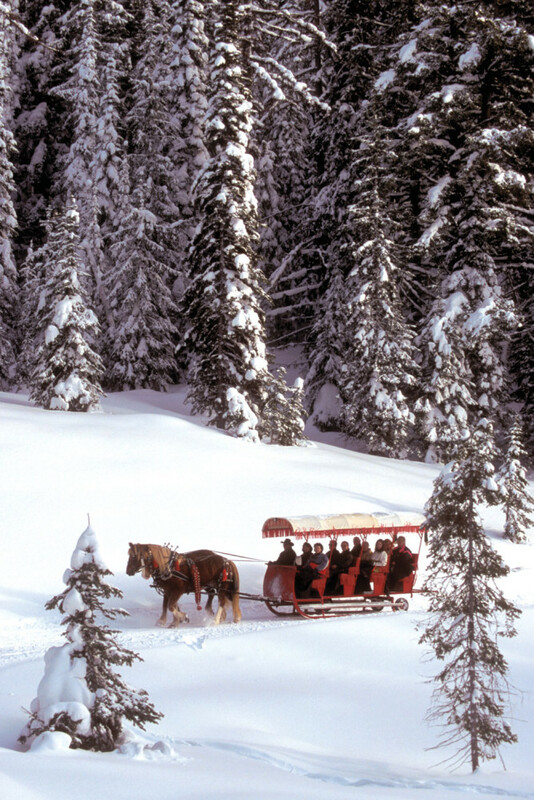 Horse-drawn sleigh rides through SilverStar Mountain Resort. 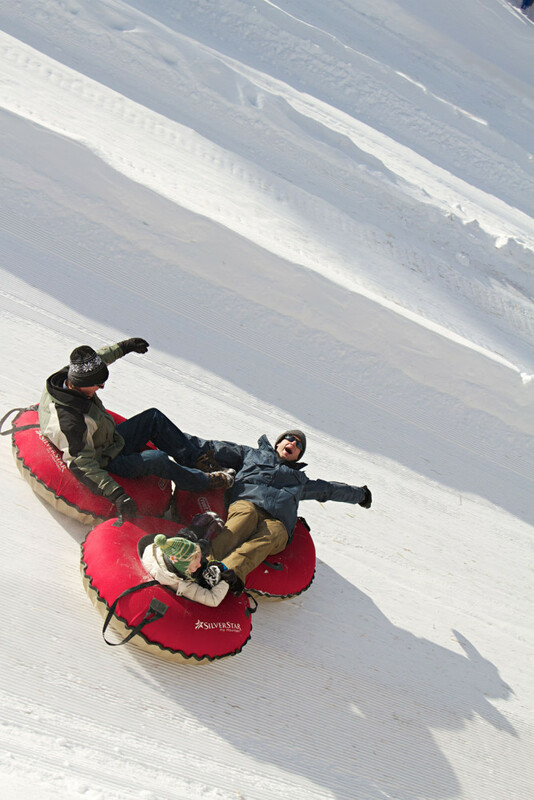 An all-inclusive My1Pass lift ticket does more than get you up the mountain – it also covers cross-country, snowshoeing and fat-tyre biking on dedicated trail networks, as well as ice-skating and tubing. 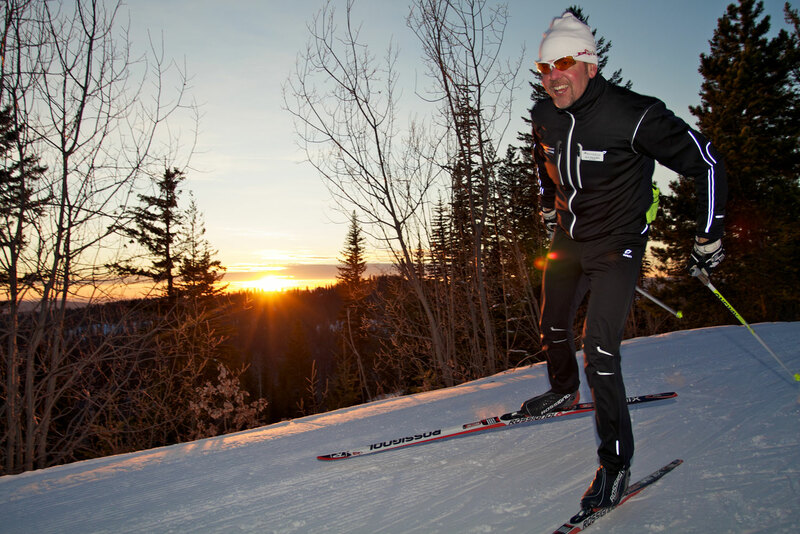 SilverStar's Nordic cross-country skiing experience after dark is a must. 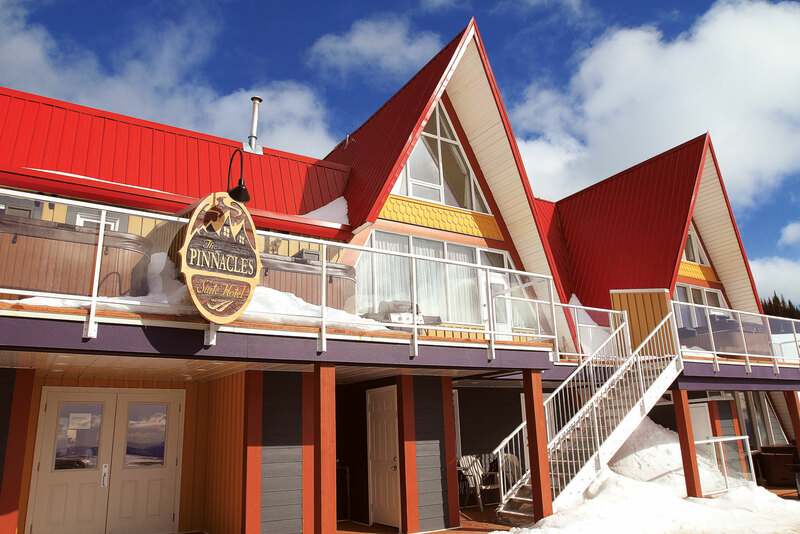 Pinnacles Suite Hotel offers slopeside suites and townhouses, which welcome both families and pets. Rockstar Terrain Park covers a whopping 6.5 hectares with all manner of table tops, step-up jumps, boxes and rails designed to boost park riding skills steadily and safely. Snowbird Lodge comprises gorgeous ski-in/ski-out condos, ranging from studios to three-bedroom units, and combine a prime, central location with private balcony hot tubs, an on-site fitness room and 24-seat cinema. 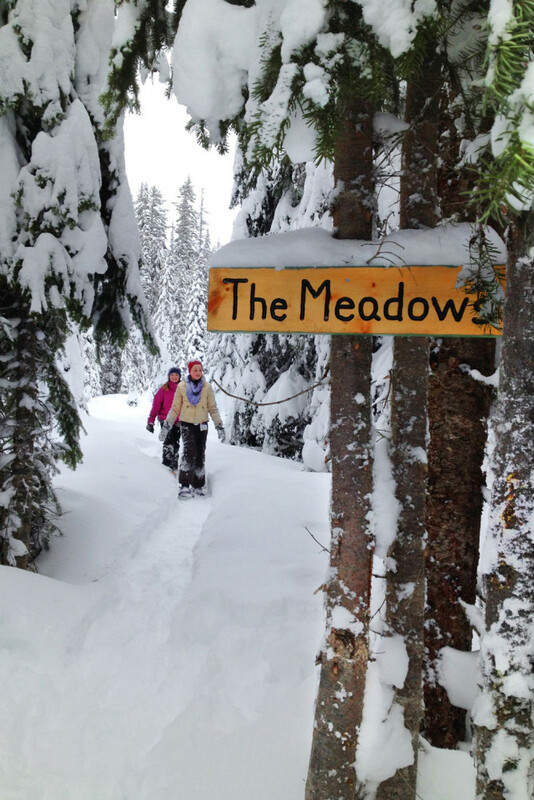 Snowshoe through glistening forests to the resort’s Wild Horseman's Cabin. Tube Town at SilverStar Mountain Resort. Vance Creek Hotel and Conference Centre boasts condo-style units with balconies and full kitchens, a rooftop hot tub and heated ski lockers on site. SilverStar has a sterling reputation for cruising runs, thanks to one of Canada’s top grooming teams. 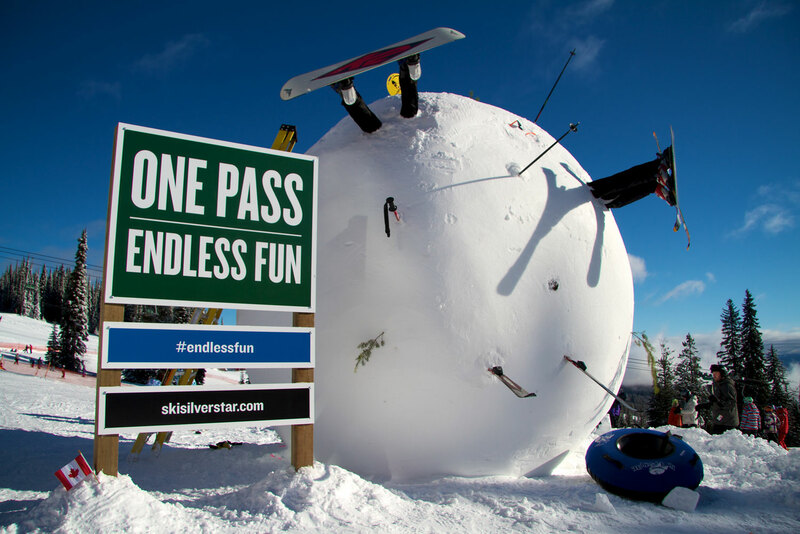 SilverStar is the ‘Goldilocks’ of Canadian skiing. 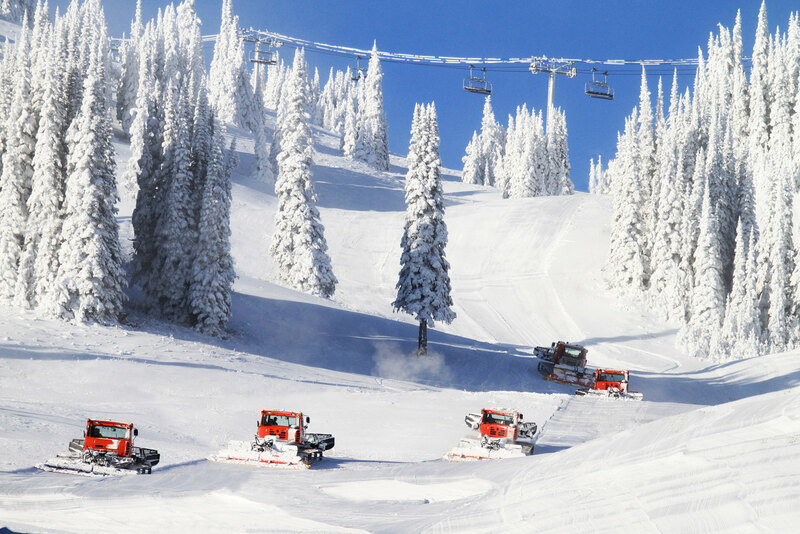 It isn’t overwhelmingly large, yet its 1328 hectares make it the third-largest ski area in British Columbia. 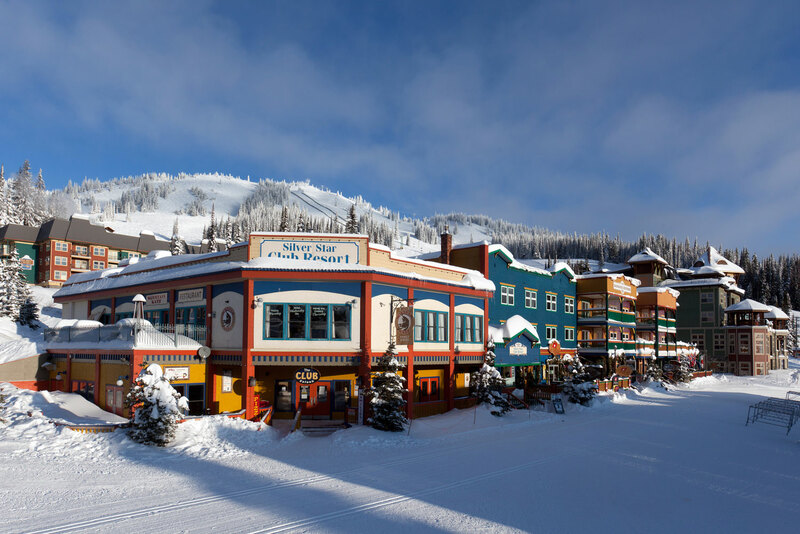 The colourful gold rush-themed village is nestled on the slopes of the resort’s namesake mountain, where 130 designated trails encompass pleasingly balanced terrain: 40 per cent is intermediate, with the rest split between beginners and experts. Visitors seeking a break from the slopes have their hands full with a wide range of indoor and outdoor diversions, including one of the largest and best cross-country skiing networks in North America. 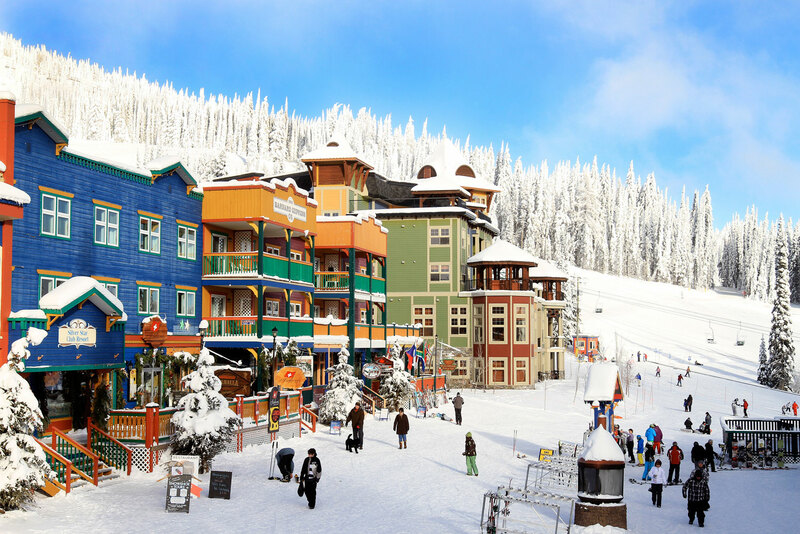 If variety is truly the spice of life for you, SilverStar is your perfect resort. Indoor excitement, meanwhile, is the name of the game at Pinheads Bowling Alley or on the climbing walls of the National Altitude Training Centre. Whooshing down the aptly named Milky Way, right after it’s been groomed for night skiing on Fridays and Saturdays, will definitely make you late for dinner. Go cross-country after dark down SilverStar’s four kilometres of illuminated Nordic trails, which make up a tiny fraction of the area’s 105-kilometre network. It provide a tranquil alternative to downhill descents. 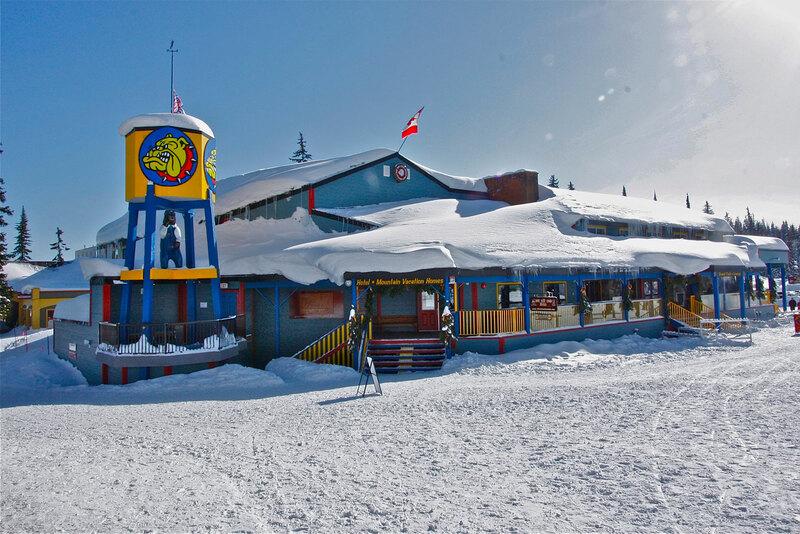 Of all the unique dining packages offered at SilverStar, the Snowshoe Dinner Tour is the best for working up an appetite. Snowshoe through glistening forests to the resort’s Wild Horseman’s Cabin, where a lavish buffet dinner awaits. After dessert, a horse-drawn sleigh carries you into the night and back to the village. Several resorts in British Columbia offer free get-to-know-the-mountain tours, but only SilverStar extends these guided outings to fat-tyre cyclists. Friendly locals in distinctive blue jackets will take you out on the 15 kilometres of dedicated fat-bike trails, where oversized tyres roll through the snow to hilarious effect. Not even Whistler has a bowling alley. In the back of the Final Run Bar and Bistro, Pinheads Bowling is home to four lanes of tenpin action. If you favour serenity over strikes and spares, the full-service Ousia Day Spa offers massages and skincare treatments using all-natural products, while drop-in yoga classes at the Pinnacles Suite Hotel will keep your chakras in balance. Local favourite Long John’s Pub vies with the Den Bar and Bistro for the attention of the taps-and-apps crowd, while the Red Antler adds late-night live bands to the merry mix. Fine dining is similarly well represented, with the Silver Grill and the 1609 Restaurant and Lounge favouring locally sourced menus, craft brews and the Okanagan region’s renowned wines. … going over to ‘the Dark Side’. No, this isn’t a Star Wars reference – it’s the local nickname for the mountain’s Putnam Creek area, where Gypsy Queen, Bon Diablo and other challenging groomers meet double-black-diamond drop zones like Gong Show and Cowabunga. 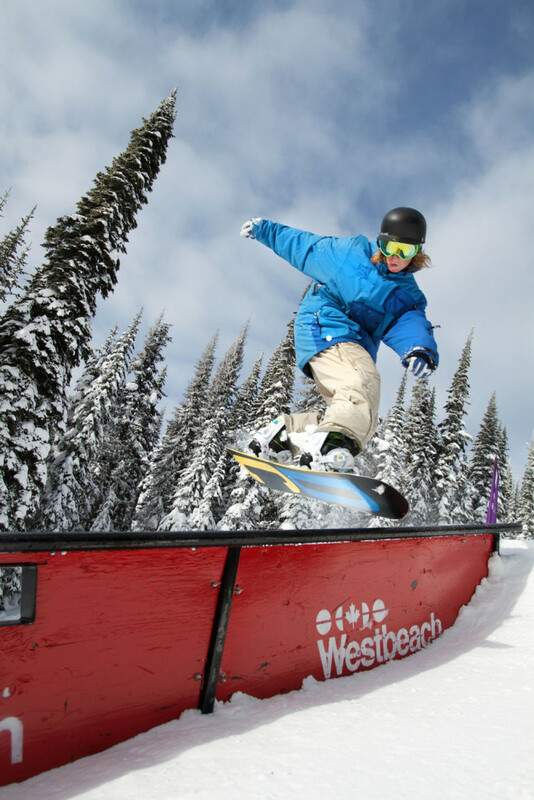 … the SilverStar Terrain Park, which covers a whopping 6.5 hectares with all manner of table tops, step-up jumps, boxes and rails designed to boost park riding skills steadily and safely. It’s split into four lanes, ranging from small (or beginner) to XL, where pro slopestyle events are held. A short drive away in downtown Vernon, this hostel has mix of dorm, private and family rooms with two communal areas, a dining room and kitchen, and, yes, free wi-fi. From around C$40 per night (low season). A cosy 25-room property steps from the lifts with plenty of patio space, a large communal hot tub and ample equipment storage. All 18 condo-style units feature balconies and full kitchens, with a rooftop hot tub and heated ski lockers also on site. 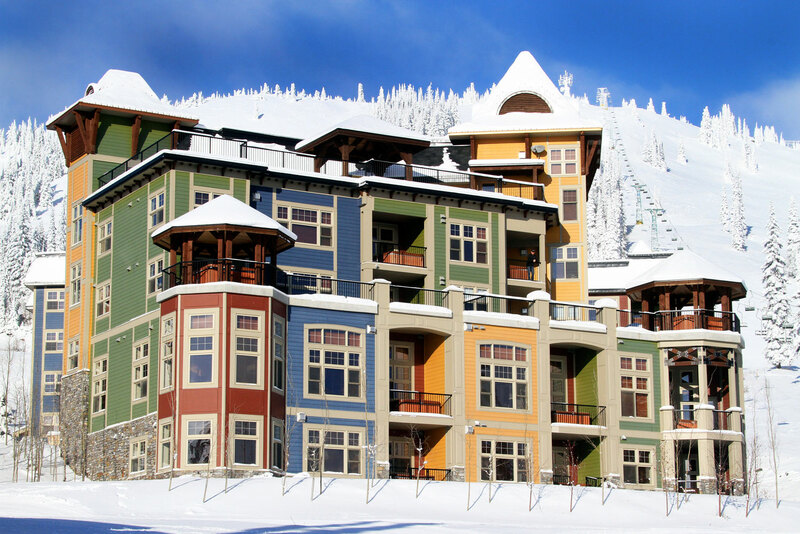 These slopeside suites and townhouses welcome both families and pets. Homes with three to six bedrooms are available here, all right on the slopes, and all with their own room configurations and features, as well as private hot tubs. These gorgeous ski-in/ski-out condos range from studios to three-bedroom units, and combine a prime, central location with private balcony hot tubs, an on-site fitness room and 24-seat cinema.